Yippie Ki Yay, Mr. Falcon. 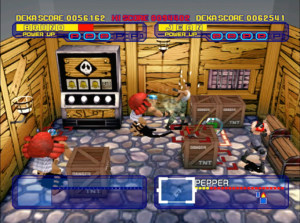 In 1996, Sega unleashed Die Hard Arcade – an international joint effort from the minds of two of its better known development teams, Sega AM1 and Sega Technical Institute. 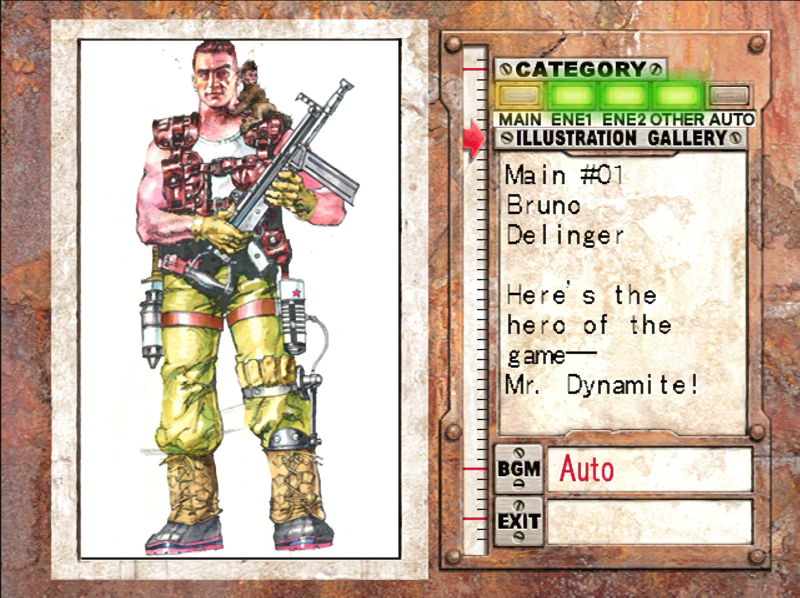 As its name would strongly suggest, Die Hard Arcade is an arcade beat ’em up based on the Die Hard franchise. 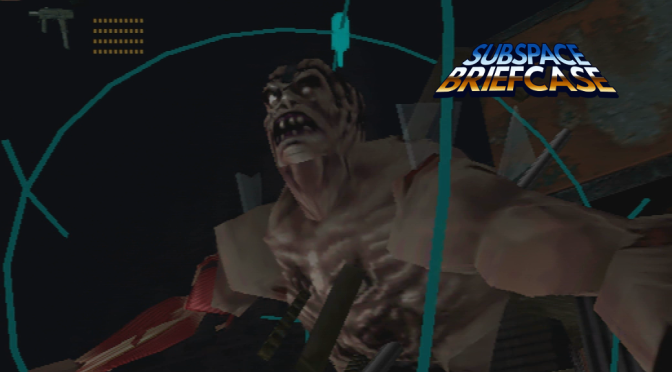 A solid early entry in the 3D brawler genre, Die Hard Arcade is as fondly remembered for its absurd blend of pro-wrestling moves and gunplay as it is for its wonderfully rectangular rendition of Bruce Willis’ head. Behold: the rhomboid bone structure that helped define the modern action hero. 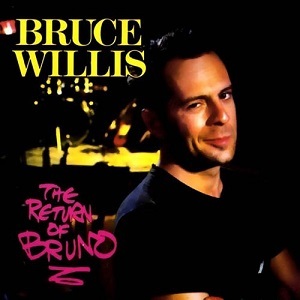 Coincidentally, Bruno is also the name of Bruce Willis’ singing alter ego. Yes, this was a thing, kids. But this post isn’t about Die Hard Arcade. We’re here to talk about its sequel, Dynamite Cop. Which is kind of what Die Hard Arcade was called in Japan. 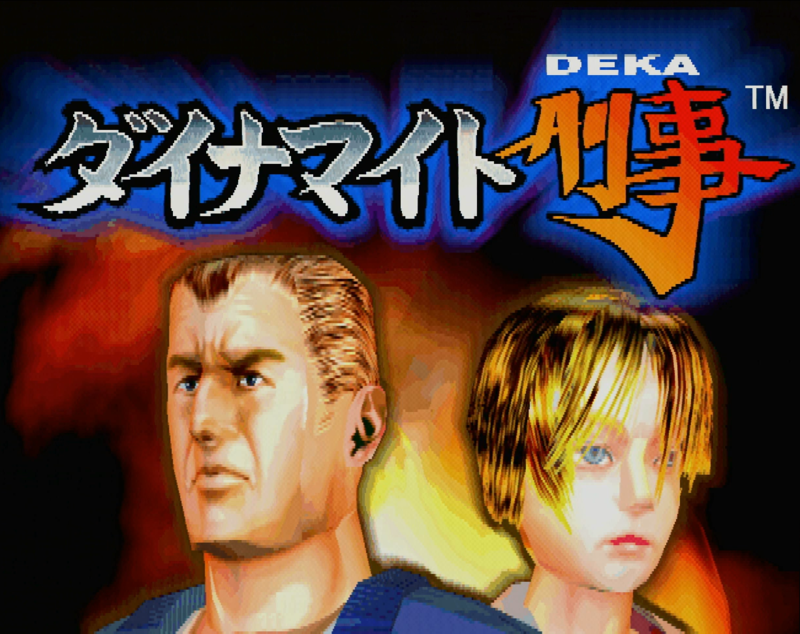 And, if you want to get technical about it, in Japan, Dynamite Cop is known as Dynamite Deka 2. 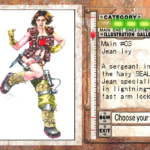 What we call Dynamite Cop is an English localization of the game basically called Dynamite Cop 2 in Japan. Have fun keeping that straight. 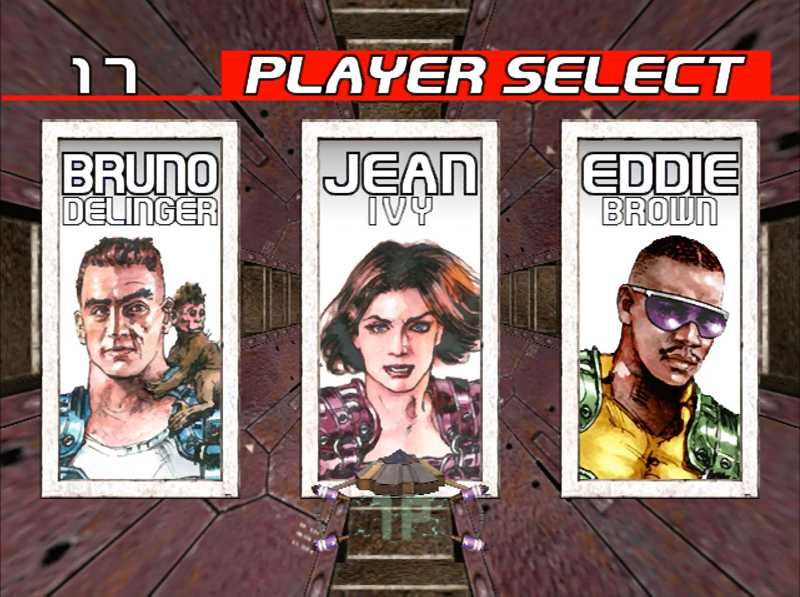 But whatever – it’s the sequel to Die Hard Arcade, minus the Die Hard, but suspiciously high on the Willis factor. Fake Bruce Willis gets the benefit of a digitally augmented hairline. And a pet monkey. The captain, now. Look at him. have kidnapped the president’s daughter. You have to rescue her. This is actually the plot of the first game, except on a boat. 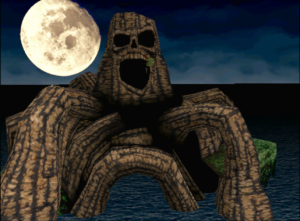 These are, in fact, the same bad guys from the first game. 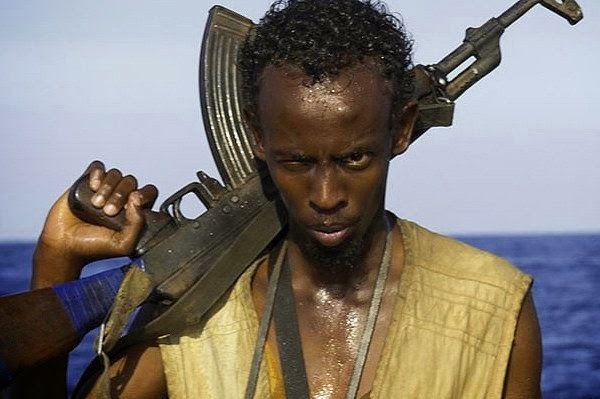 They’ve just decided to become pirates. Yep. 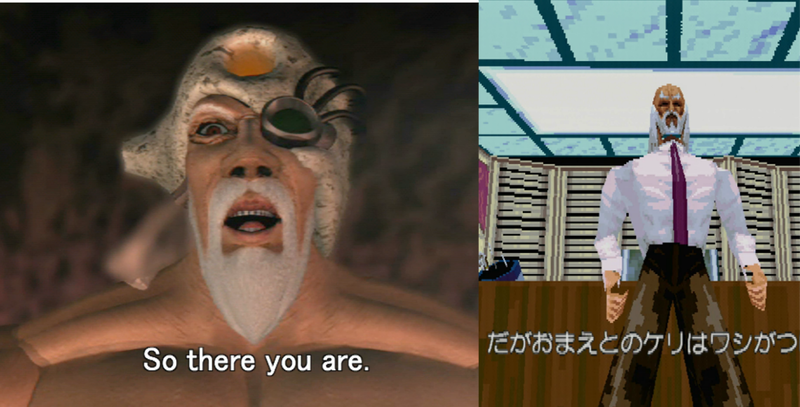 Main villain Wolf Hongo in both Dreamcast and Saturn forms. The 128 bit face lift in full effect. 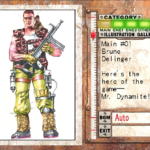 The player controls one of three Dynamite Cops – Bruno Delinger, the aforementioned McClane/Willis stand in and all-round baddass; Eddie Brown, a Navy Seal who seems to specialize in Muay Thai; and Jean Ivy, another Navy Seal who uses a weird mix of kung fu and pro wrestling. And, my personal favorite, hand-launched anti-ship missiles! I really only stopped listing weapons because I got tired of making gifs. Dynamite Cop’s full arsenal contains everything from shish-kebabs to laser guns. If the spectacle of violence can truly be silly, this is as silly as it gets. 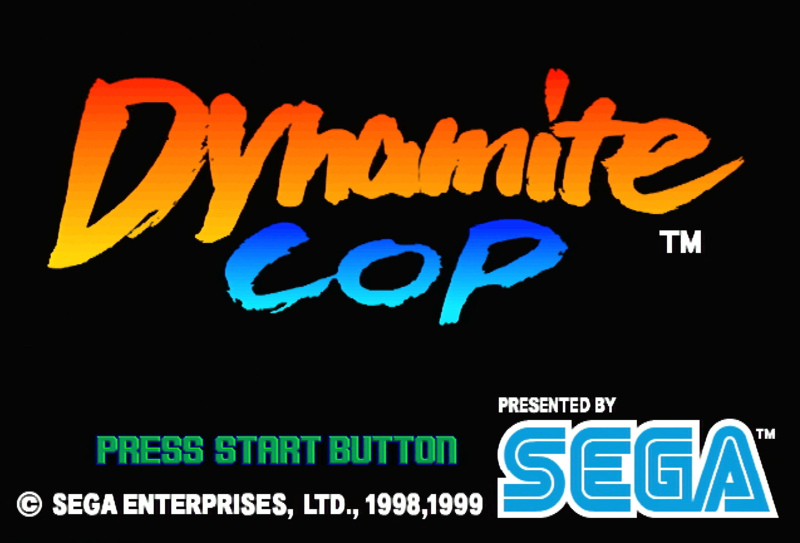 Dynamite Cop is short; a successful play-through only takes about an hour or less. That being said, each of its three routes are worth replaying multiple times, if for no other reason than to use every single absurd armament at your disposal. I give it a “YOU CAN THROW SLOT MACHINES AT A CRAB MAN” out of 10. 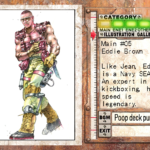 Special thanks to Mark Del Rossi, who was the best Player 2 this author could ever ask for. Even though he shot me with multiple hand thrown missiles. 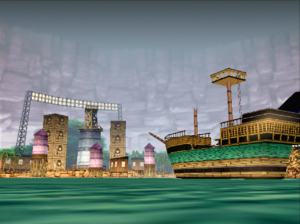 I finally get to the Dreamcast with our first video review! Wanted to have this out for Halloween. Unfortunately, real life got in the way. Enjoy! The background music for the video comes straight from the game disc – I just recorded some video of the sound test mode and ripped the audio. In order to create this video, I extracted some of the game’s music – In case you ever had a hankering to give it a listen…. And because I’m feeling generous, here’s some more game video, if you have a thirst for more. Hope you enjoy! Any and all feedback is welcome AND appreciated!